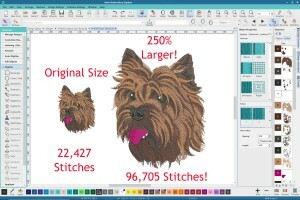 What is the Best Machine Embroidery Digitizing Software? 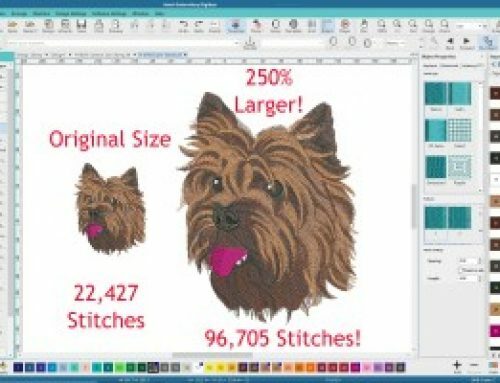 What is the Best Embroidery Digitizing Software for Me? Being the world’s most awarded embroidery digitizer, one question I get asked time & time again is “what is the best embroidery digitizing software?” & “which embroidery digitizing software programs are easy to use?”. All digitizing software are not created equal and there are many angles to consider when you are in the market of buying a program. As with anything in life, not everyone is going to like the same software bands. Some people swear by Floriani while others are in love with Hatch. Determining your background will probably in some way impact your decision more than anything else. If you have a production or machine background, some programs I’ve used make more sense in relating your artwork directly to stitches and you’d probably feel more comfortable right off the get go. Another type of software will be programmed leaning more towards the graphics industry and if you’ve been trained as a graphic artist you will right away catch on quicker. For this reason, the beauty of today’s day & age is that technology now allows us to try before we buy. I would highly suggest you download a free trial for any software brand you’re seriously looking into. This will help determine whether the software is a good fit for you or not. Please note however that you make sure you do this only through REPUTABLE online sources. If you’re looking for a starting point, I highly suggest you try the 30-day free trial of Hatch. Another great way of doing some research is to go online and simply ask what others think about a given software brand. There are countless embroidery-based Facebook groups, blogs & other useful tools online today where you can post questions & get honest customer feedback. “Any software program is only as good as the support & education that comes with it”. The last thing you what to do is purchase software because the price point was cheap or on sale and then all you get is this manual that wasn’t even translated properly from its original language! When learning to digitize, the training you get after purchasing your software is crucial. This is one of the largest issues I’ve found in the home embroidery industry (not so much the commercial). People often buy software and are then left to figure it out on their own or they take classes from an unqualified instructor who knows little more than they do. If you do discover a software brand that you fall in love with but doesn’t have great education to help you master it, I highly suggest taking a look at my interactive online classes taught in what I’d consider some of the industry’s top software brands (which are all reputable). The last thing I’ll suggest is that you try not to get up-sold on the highest levels of software unless you really feel you can utilize the added features. If you’re brand new to embroidery, you may not yet need full blown digitizing software, or the highest level of digitizing software. With the modular based programs available today, you can always start off small and upgrade to the next level if you feel the options are something you’ll actually use. Any brands which I teach lessons for on my website I would consider a reputable brand. Although I’ve sold some of these brands in the past, if I had to pick a favorite I’d pick Hatch. Why? 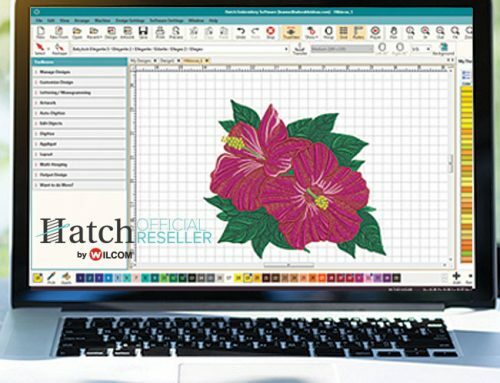 Because as the world leader in embroidery software, Wilcom has put 3 decades of innovation and experience into their new Hatch embroidery software. Hatch’s new platform has an extremely easy to use interface, which is extremely powerful & is available at a great price. It’s also modular, so you can add as you grow. So if you’re looking, download the free 30-day Hatch trial through Digitizing Made Easy and receive 4 exclusive interactive video lessons free. Dare to compare it to any other software out there… You’ll love it! John – I have both PED10 and Hatch – I may have asked this before but wondering where I should start with your lessons – Most likely lesson 1? thanks. i have been digitizing for a while but don’t have my own website yet and would like to hone in on my skills – and perhaps sells some designs at some point. I see many free videos but am thinking the lessons are the way to go. thanks. So I am very new to embroidery! In fact, I JUST got my machine (Pe770) and have not been able to make anything as of yet. I called Brother Customer Service and only became MORE confused! I will give you my background and then ask a couple of questions. I can sea, but only straight lines! Lol! I do not make garments, but can make curtains, quilts, and other things. I also hand sew, crossstitch, and am good at garters, headbands, etc! I am a photographer, first! I have been photographing portraits for several years. I am well-versed in Photoshop and Lightroom to edit my portraits and add graphics. At Christmas, I received the PE770 and ALSO the Cricut Explore Air II. So I’ve been making my designs in Photoshop and then uploading them to Cricut and then making t-shirts and such. I am HOPING to do the same with Brother. I understand I need to be able to convert my jpeg, tiff, png, and svg’s to PES and I need a special program to do that! Question 1. What would be the best program for me considering my background and need? 2. What thoughts/ideas might you have for me so I can incorporate all of my talents into one project? TIA! First off, congrats on your new machine! We love the Brother brand here at Embroidery Legacy. Hope that helps & happy stitching! Do you recommend Hatch for digitizing a logo? We own a franchise and our home office has requested that all embroidery be done to certain specs. We’re trying to save a few bucks in the long run by not having to purchase corporate shirts and other merchandise and instead embroidering it ourselves. I have a brother PE650. I have embroidered a wide variety of items, but never digitized on my own. I have a couple other small businesses that would like me to digitize their logo to do their embroidery as well. Hi Amanda, yes I would certainly recommend Hatch for digitizing logos. Especially if you’ll be stitching it out on a wide variety of items. To be honest almost every software program out there could create a logo but what sets Hatch apart is it’s ease of use and how intelligent the software is. 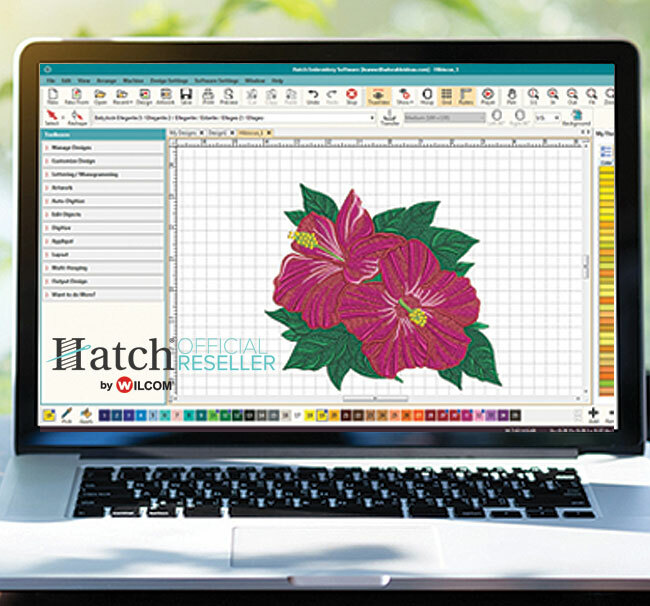 Being created by Wilcom, the world leader in commercial embroidery software, Hatch automatically adjusts things like density, underlay & stitch count for you based off the stitch type being used & the fabric type selected. This will take a lot of the guess work out of creating logos for you. I’ve several brothers machines and love embroidery sewing and quilting. 2 years ago I was determined to be able to do my own designs and bought the Embrid Embroidery/Digitizing packages. The software is impossible to just use. I have watched many videos but nothing seems to trigger the aha moment when the software makes sense to use. It was big expense that I believe to be a waste since I still can’t use it could you help me or should I try something else? Hi Saundra, although we do teach our Digitizer’s Dream course in 11 of the industry’s leading software brands, unfortunately we don’t teach it directly in the Embird software. If we don’t teach in a specific software brand, it’s because we don’t feel comfortable putting our name behind it. Mind you, many others like that software & I’m not saying it’s bad. It’s just not one of the brands we support.